I absolutely LOVE making homemade versions of store-bought products to save money. One of my favorite things to make are seasoning mixes. I started doing this last year with my Homemade Taco Seasoning and my Homemade Ranch Seasoning. I really enjoy making seasoning mixes in bulk because I can do it once every few months and then not have to worry about buying packets when I make up recipes. It’s really convenient to have the mixes on hands at all times. I make my favorite Slow Cooker Chili recipe about once a week during the cold months. 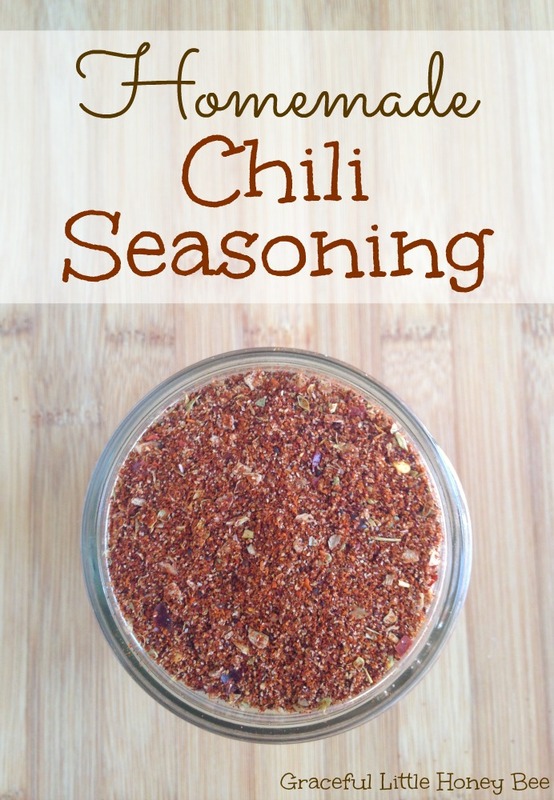 We love chili and so I knew I had to come up with a homemade chili seasoning mix to share. Obviously, you can change this recipe to fit your tastes. If you like it spicier then you may want to add more red pepper flakes. Enjoy! Do you make any homemade seasoning mixes? I’d love to know! Wonderful combo of seasonings. tastes great and very similar to McCormick brand. this is my new favorite! I'm so glad you enjoyed the recipe and thank you for letting me know! Have you made a copycat of the Good Seasonings Salad dressings? That is much better than the packets. I have not heard of Good Seasonings salad dressings. I'm going to try this! We are on a low sodium diet and the pre made packets have so much. Hi Missy! We LOVE your DIY chili seasoning. Tastes great and super easy to whip together. Love how inexpensive it is and that it isn't full of yucky additives as well. Thanks so much for sharing!